You’ve heard of “copyrights” and “trademarks,” but do you know which one of these legal protections your business needs? 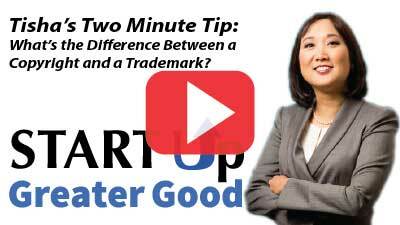 A copyright protects differently from a trademark. How do you figure out which one works for your business? Tisha explains it using catfish as an example. Yeah, it’s as easy as shooting catfish in a barrel. Find out how in this week’s two-minute tip.